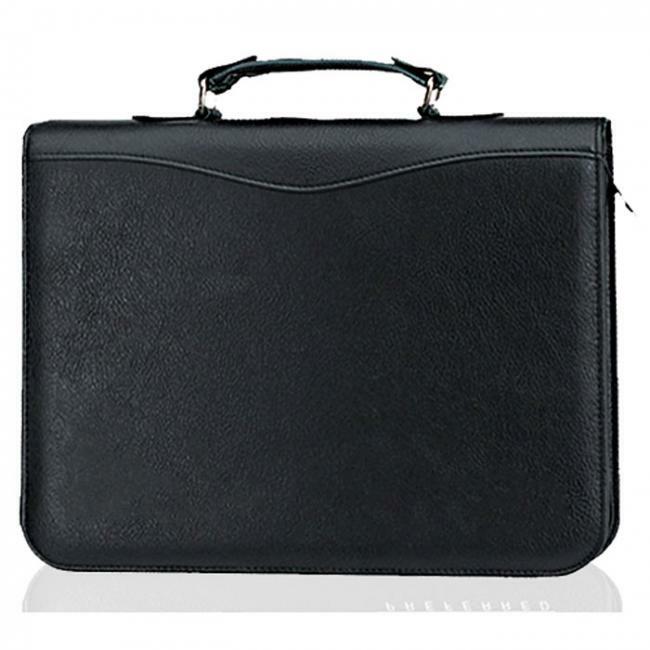 Our Custom Three Ring Portfolio is constructed of simulated leather with black metal three ring clips to hold your documents, handle for easy carrying and a zipper to secure all of your important papers. 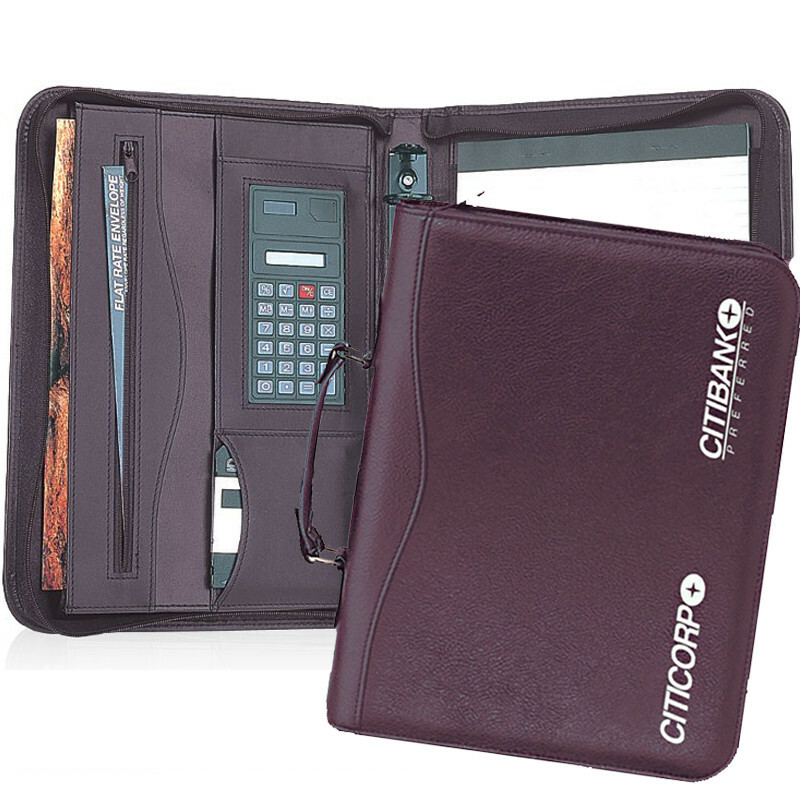 This portfolio also comes with a built-in solar calculator for easy calculations on the go. 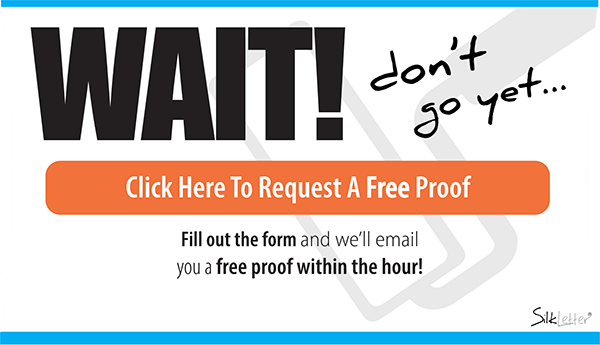 The large imprintable surface was designed so that your logo can stand out. 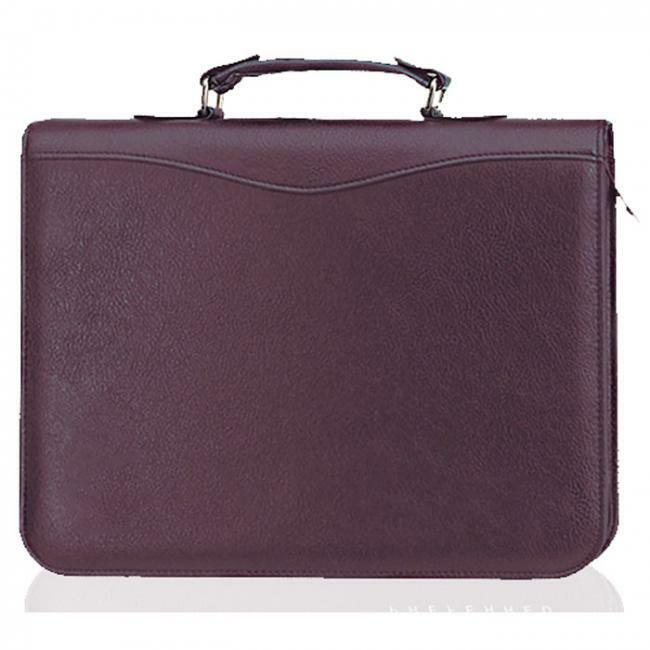 The Custom Three Ring Portfolio comes in burgundy or black to suit your anyone's color preference. 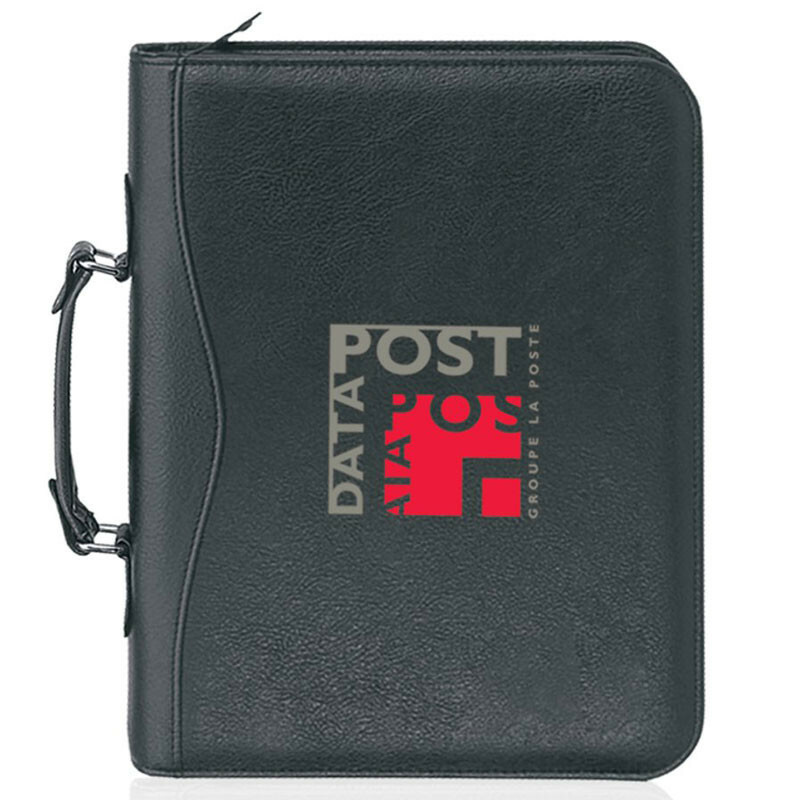 We believe this portfolio is an amazing gift for your employees or business clients - definitely a great way for you to make an impression.